Is Stametta Safe for Abortion? The answer is NO, Stametta is not safe for abortion. It is a crude and very risky way of ending a pregnancy and you should NOT try it at all! Stametta has Aloe Vera as one of the ingredients. Aloe Vera is a very sour plant. The body is designed to have a low tolerance for sour things. If you take Stametta which has Aloe Vera as a base your body rejects it. That is why all most all people who take Stametta end up having a running stomach. This running stomach is what makes people believe may result into an abortion. There is a minimal chance that the sourness of Stametta may lead the body to reject the pregnancy. But such a crude method of termination will also be followed with over bleeding. Very risky for your life. People also believe diarrhea as a result of taking Stametta means they are being cleaned. But, if you take very hot pepper chilies you will get a running stomach too. The body has low tolerance for sour things. What is stameta (stametta) used for? 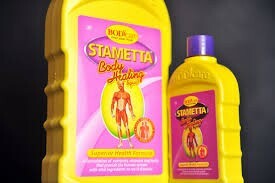 Bodicare Stametta Body Healing Liquid 500ml helps strengthen the immune system and relieve various conditions. These include menstruation, lower back and joint pain, fatigue, gum disorders, sexual performance, flatulence, digestive problems and constipation. It can also strengthen bones and muscle tissue. That is whats Clicks Pharmacies Say. Is that information true? I do not know. Am not a believer in a single herbal solution solving all kinds of problems that are not related. The decisions of what you use it for, is yours. One thing am sure about Stametta, is that it is not good for termination of pregnancies. That one I am very sure. No. They do not cause abortion. Abortion is only done with an abortion pill cheaply and safely. Stameta and Vinegar is just a village concoction that will not lead to abortion. Some of you add Stametta (Stameta) and Vinegar and hope to achieve an abortion. It will not happen. If it does it will be an accident that may lead to over bleeding. Use a pill instead, which you can get cheaply. An abortion pill will do a controlled abortion for you. It is tested and it is very safe. No it will not work for you. Stametta is not intended for these kinds of things. Killing a pregnancy is not the same as abortion. Abortion means that a pregnancy is deliberately removed. It has to come out. You can have an abortion and a baby comes out alive. Girls who do very late abortion actually get live babies. Those are the babies you find abandoned in all kinds of places. Abortion when done late (say 7 months) does not lead to death of a baby. No, it comes out alive. Killing a pregnancy means the unborn dies in you. But a baby dying in you may not lead for it to come out automatically. No. Some women carry dead babies until they are helped by doctors to remove it. Abortion and killing a pregnancy are two different things. Stametta is not safe for both. You may not achieve your objective. If you want to end a pregnancy, do it early. Do it the right way. It is called abortion. It is done with abortion pills or surgically. Stametta is a no – no. Can Stameta Destroy a Pregnancy? Stameta is not intended to terminate pregnancies. It is very sour though and it may lead to a crude method of ending pregnancy. You are warned not to take Stameta when pregnant. If your body has low tolerance for sour things you will end up with a very unsafe abortion. Just do not do it. Get abortion pills instead. The issue is to achieve what? Why are you taking stameta? What do you want to achieve? Stameta is a herbal drink. It is not scientifically proven. No two people will get exactly the same results. If you are taking Stameta for abortion you are making a big mistake. It may not work. If it does, it may injure you. Do not do it for abortion. Stameta does not do all these things. If you want to get your womb cleaned go the hospital. It is as simple as that. Stameta is not going to help you. Stameta does not clean the womb. Can Stameta help me get my Period? No. It will not help. If you are pregnant you will not drink Stameta and thereafter get your periods. It will not happen. If it is hormonal imbalance that is making you miss your periods Stameta will not help either. Go and see your doctor. He or She will help you understand why you do not have periods and then you will take it from there. Can Stameta Terminate a One week, 2 weeks, 1 month, 4 months Pregnancy ? Stameta is not going to help you with termination. If it does it will be an accident. In a few women where Stameta works, it is always followed by hospitalization. Stametta MAY in SOME CASES also lead to a miscarriage but it fails more than it succeeds. But it is a crude way to terminate a pregnancy and it is not recommended. Remember Stametta is not designed to terminate your pregnancy so chances are very high that it will not succeed. In fact in 10 women who try terminating their pregnancy using Stametta only 1 succeeds the rest just get complications. Women who try to end a pregnancy using stametta bleed uncontrollably. Stametta may even puncture the uterus leading to all kinds of complications. If you are pregnant and want to terminate keep away from Stametta. Go and get professional help. Why Women Take Stametta for Abortion? You girls hear stories from friends about what works to terminate a pregnancy. Due to peer pressure they go for it. Often it fails. Many girls want to terminate secretly. So, they go for something that they can purchase easily and think it will help. That is how they go for Stametta. It is available without questions everywhere. Poverty. Girls who can not afford private service often try all kinds of home abortion methods. Stametta is one of them. Government clinics and hospitals often do not help pregnant women with abortion. All clinics have all kinds of reasons. This pushes girls to try do it yourself abortion. Stametta is the first choice. If you are pregnant and you want to terminate DO NOT USE Stametta. It is very crude and chances of complications are very high. Avoid it by all means. You are not saving money by using Stametta. You are just complicating your life and inviting problems. Stametta is also popular with women who use it as a morning after pill as they believe that it prevents unwanted pregnancies. This is also not true. Stametta will not work as a morning after pill. The efficacy of Stametta to solve any health problem is not scientifically proven. What is for sure is that you will get a terrible running stomach. Your body is designed to reject sour things and Stametta is one of them. Do not use it to end a pregnancy. Use an abortion pill or surgical abortion. These are tested and safe methods. You can get help at Government Clinics near you. You can also go private. There are several options open for help. Freshen pills are for constipation. They are used for mild and occasional constipation. Some women overdose themselves on these pills in the hope of getting an abortion. It will not work. You will only succeed in endangering yourself if you overdose on Freshen pills. You will not get the abortion you deserve. The only correct pills for abortion are Misoprostol and Mifepristone. These are the commonest abortion pills in South Africa. 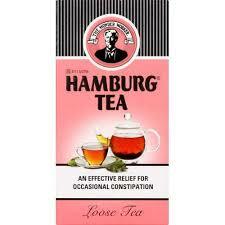 Hamburg Tea is used for treatment of occasional constipation. It is not for abortion. Many people believe anything that loosens their bowels will lead to abortion. You are wrong. Drinking Hamburg tea will fill up your stomach. May be you will achieve other objectives, but abortion is not one of them. You will not get an abortion with Hamburg Tea. It is believed Hamburg Tea is used to prepare women for surgery by cleaning the bowel. Possibly it does that. But one thing am sure about is that you will not get abortion with Hamburg Tea. Does Bicarbonate of Soda Terminate a Pregnancy? It is like all other things mentioned up there like Stametta, Freshen pills, Hamburg Tea, they all do not work for termination. Bicarbonate of Soda has it’s uses such relieving stomach ache, brushing teeth and several other things. But it does not help with termination of pregnancy. If you need help with termination go for an abortion pill. No it does not. Grandpa is a pain killer freely available on counters of any shop in South Africa. If Grandpa did terminate pregnancies it would not be freely available everywhere. The moment a medication is freely available just know it has limited usage. Grandpa falls in that category. It will not help you with abortion. Need An Abortion? If you do not know what to do then contact us. Need A Safe Abortion – Can We Help You?